These two tea chests are created by ourself. It is made from solid wood with stained wholly inside and outside. For this small wooden tea chest, it is constructed by some pieces of wood with wood nails. We lined this large tea wooden chest fully inside including dividers. Customer's logo can be printed or hot stampped both inside and outside the lid. 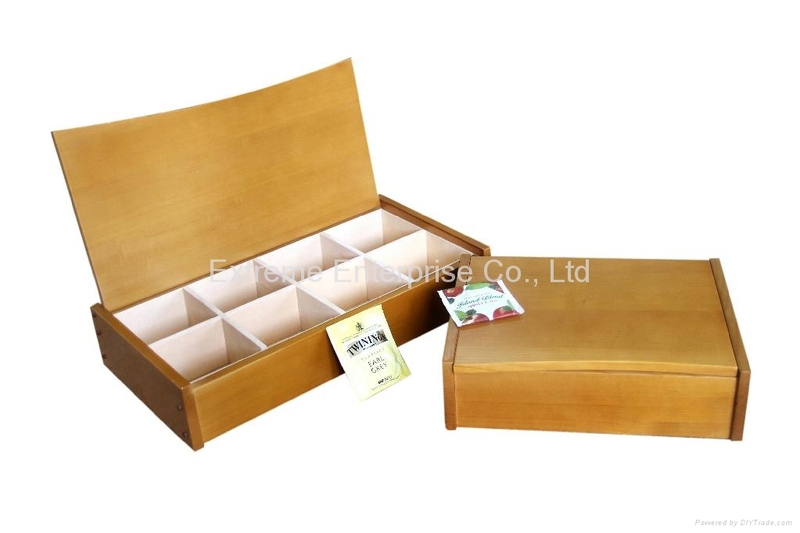 We take great pride in manufacturing the highest quality, custom made wooden tea boxes and tea chest wood for each and every customer. We have the skilled workforce and expertise required to meet any and all of your wooden box needs.